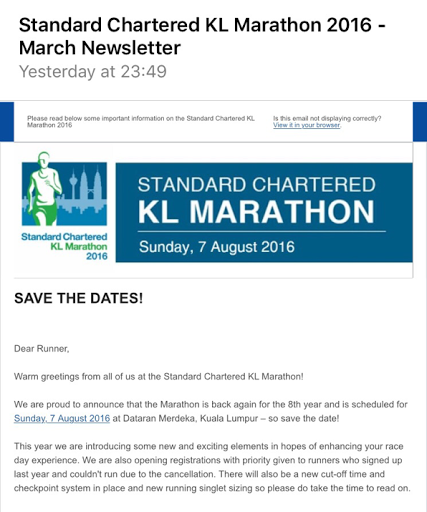 The big and most waiting event every year is coming to town : Standard Chartered KL Marathon 2016 . Excited enough friends? Hihihi... Even I'm not a full marathon runner but I am excited for this big event . This time SCKLM 2016 will be held on 7 August 2016 . 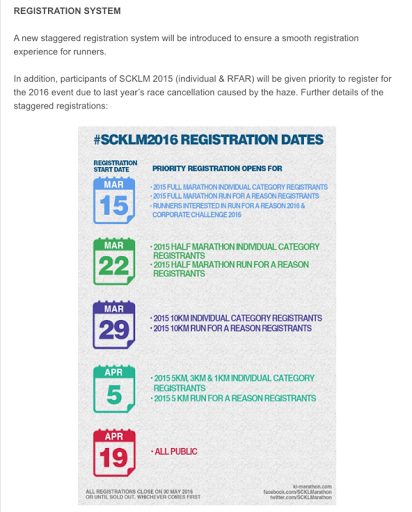 Last year SCKLM 2015 cancelled due to heavy haze . 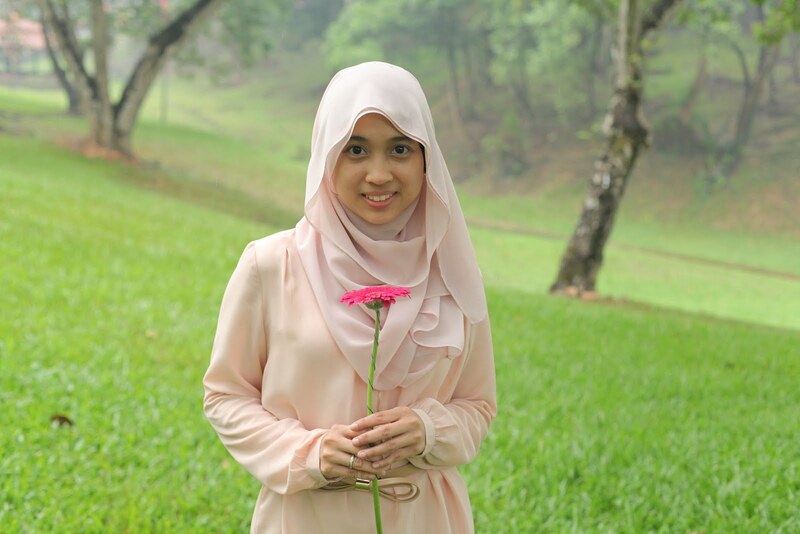 This time , Insyaallah this big event will be run smoothly . This year there are different registration system than previous year . It's because of the cancellation due to heavy haze, there will be priority registration for all the registrants SCKLM 2015 . All the registrants 2015 can start to register from 15 March starting with full marathon category following by other categories . 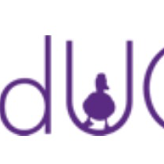 This system is to ensure a smooth registration . Here the details for the registration system this year . Take note for your registration date and category to ensure your registration run smoothly and you will not miss out to register . Every year the registration always full immediately due to high demand from runners all over the world . See the below note in the picture : " All the registrations close on 30 May 2016 or until sold out . Whichever comes first . " SCKLM always give a chance for runners who wanted to run for a reason . Run for A Reason (RFAR) means : run for charity . Once you register for Run for A Reason category , your fund will be source out to the less fortunate as part of charity programme . You can choose which beneficiaries you want to source out your fund . 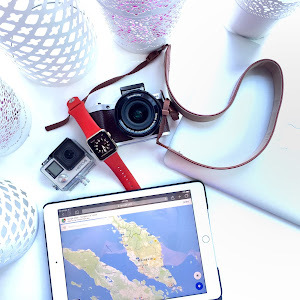 For more details for this category , you may click here.